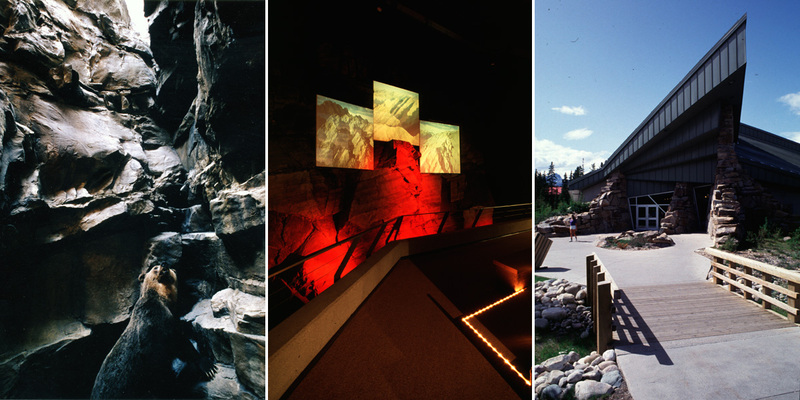 Lake Louise Visitor Reception Centre | André & Associates Interpretation and Design Ltd.
Exhibit Interpretive Planning, Concept, Schematic and Detailed Design, Graphic Design, supervision of Fabrication and Installation. 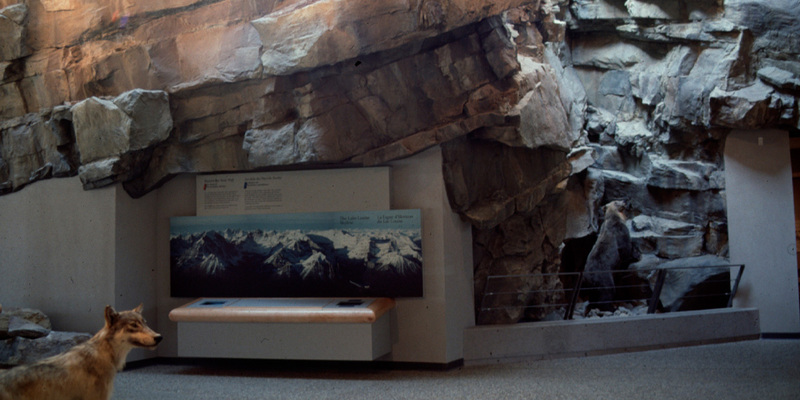 the use of artifacts Three recreated environments interpret the geological processes that created the Rocky Mountains. One depicts the erosion of the Canadian Shield millions of years ago. 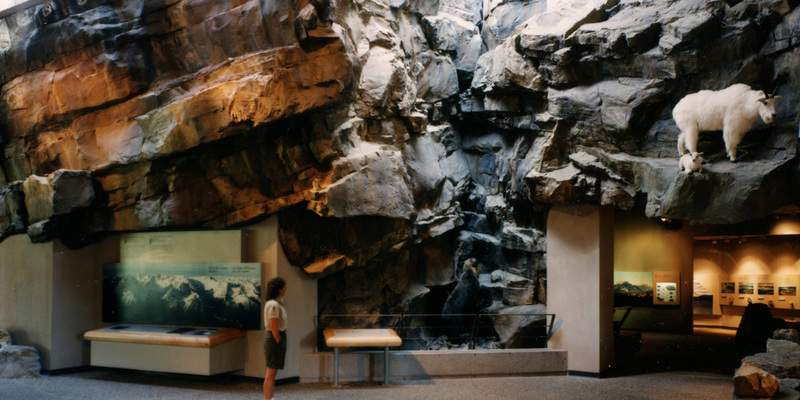 The second shows the deposition of the mass of sediment that became the building material of the Rocky Mountains. The third, uplift, is celebrated in a highlight by a multimedia presentation showing the forces which pushed, folded and forced the creation of the Rocky Mountains.